The founders of Last.fm have finally handed the reins over to new parent company CBS after seven years in charge. Felix, RJ and Martin haven't given a reason for letting the site move into corporate hands, bar stating: "In response to the 'what's next' question the answer in the short term is 'a much needed holiday'." 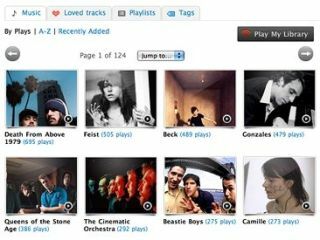 However, they did say that "Last.fm is in good hands and is all set for the future :)"
The site has seen phenomenal growth in the last few years, and currently has nearly 40m unique users worldwide. CBS bought the site for an estimated £140m in 2007, and since then the site has moved into new avenues, including a deal with Microsoft to enter the Xbox platform and multiple mobile phone clients. However with the advent of the likes of Spotify it's likely that the efforts will have to ramp up further to keep Last.fm at the top of the streaming pile. Some have pointed to the recent allegations that information from Last.fm has been passed to the RIAA in the US as the reasons the founders are stepping down, but this rumour has been vehemently denied by the site time and time again.